This is a die-cut Jewel Coal porcelain sign. This particular Jewel Coal sign is black and orange. 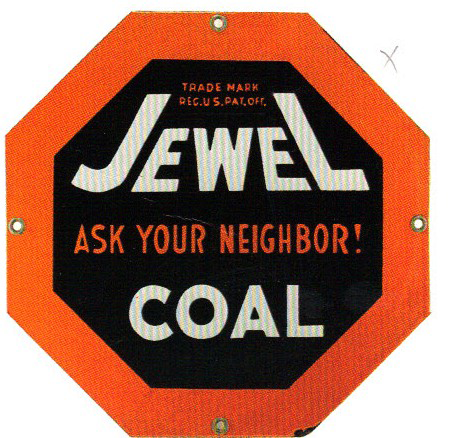 It reads, “Jewel Coal, Ask Your Neighbor!, Trade Mark, Reg. U.S. Pat. Off.” and features a thick orange border.